I was getting tired of my usual bowl of Cheerio's before work, and decided it was time to mix up my breakfast for tomorrow. 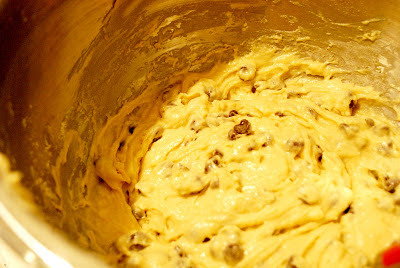 I looked through a few recipes, and came across this one for Sinfully Rich Chocolate Chip Cookies. Let's just say for once, I can't wait to get up tomorrow morning!! 1. 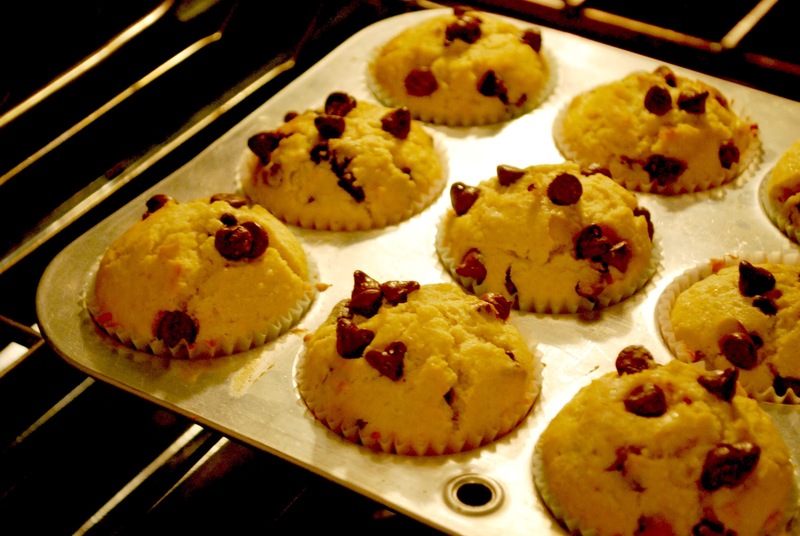 Preheat oven to 400 degrees F and line a 12-cup muffin pan with paper cups, or grease the pan. 2. In a large bowl, combine all dry ingredients. 3. 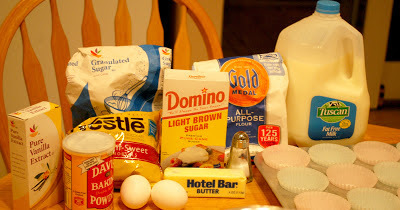 In another bowl, mix melted butter, beaten eggs, milk, and vanilla. 4. Pour the wet ingredients into the dry and mix until just combined. 6. 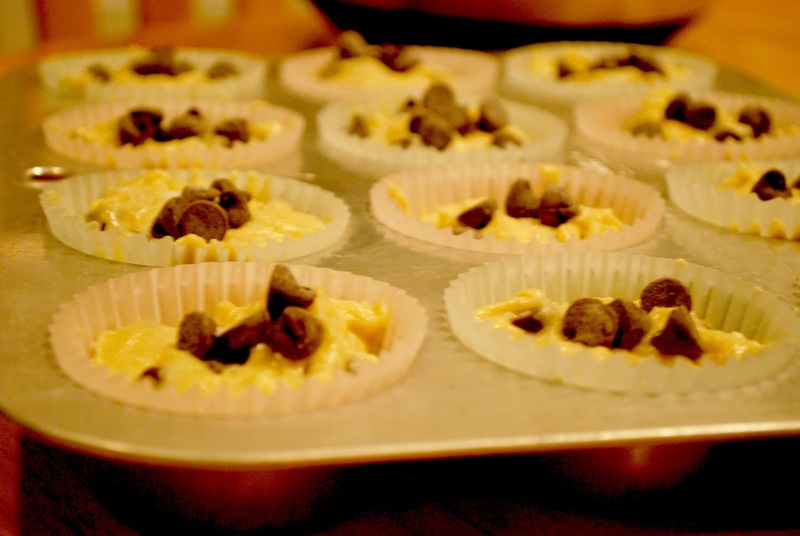 Divide into 12 muffin cups. 7. 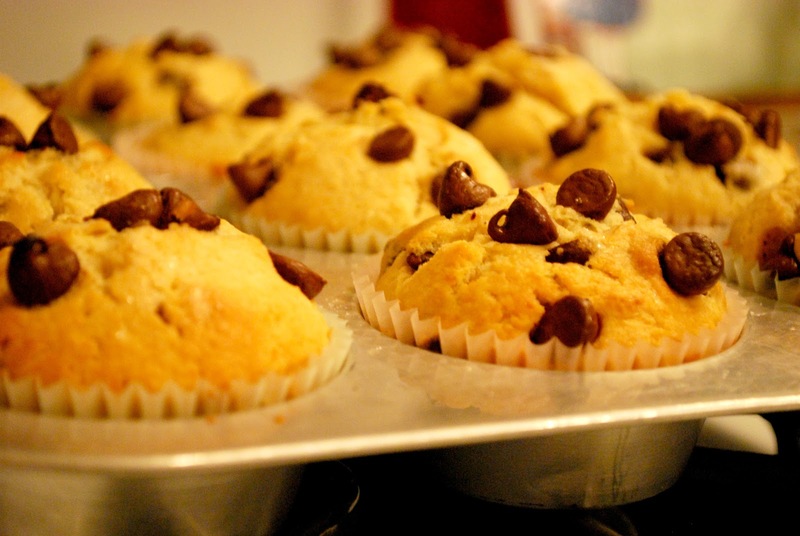 Sprinkle a little granulated sugar on top of each muffin for a little sparkle and crunch (optional). 8. Bake at 400 for 15-20 minutes or until a toothpick inserted into middle of muffin comes out clean. 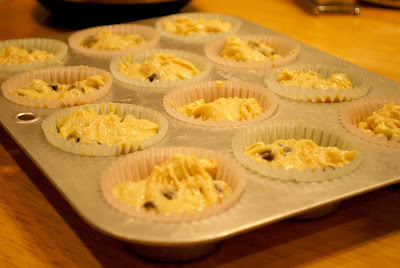 Add some extra chocolate chips and granulated sugar to the tops! Out of the oven....couldn't wait to eat these! 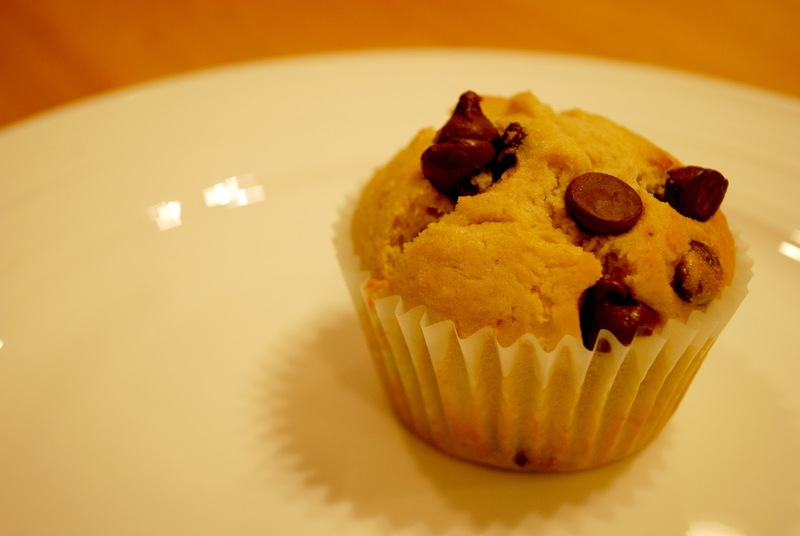 love muffins and i will try this recipe.